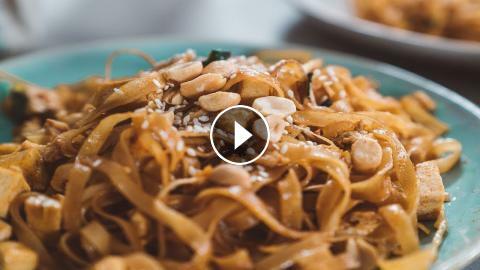 Thai-Style Pasta "Pad Macaroni" - Hot Thai Kitchen! Street Noodles w/ Wontons & BBQ Pork บะหมี่แห้ง - Hot Thai Kitchen! Homemade Soy Milk (Thai style) นำ้เต้าหู้ - Hot Thai Kitchen!